“Retail is dying, the traditional outdoor fairs are not working anymore, the sales have stagnated! No one has the success recipe anymore!” says the CEO of one of Scandinavia’s biggest outdoor brands. After over 16 years working with numerous apparel brands in the Outdoor industry, the entire industry feels a bit “lost” at the moment. It seems that brands wait for some sort of sign from above, a direction, a guidance, a blueprint, name it whatever you want. They are waiting for someone or something to give them the workbook, that will turn this downwards spiral around and hand them success. The outdoor industry has been leading the sustainability wave for example. Many brands have been pushing the research, innovated incredible products, have implemented extremely rigorous standards in sourcing and manufacturing. But when it comes to running contemporary businesses for the modern customer, nope, sorry, that hasn’t happened yet. The old ways of doing business aren’t working anymore. Customers are too well educated and want things faster. The outdoor industry is a great example that brands need to take a fresh look at all components of the business to become a brand of the future. 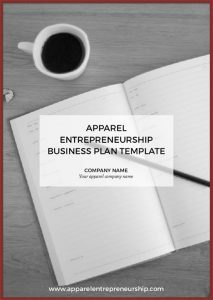 Many of the startup customers that we work with through Apparel Entrepreneurship have a steep start. The crowded marketplace makes it very hard for new brands to take off. We see, that to be able to make it now, and to get a flying start, new brands need to stay one step ahead of the fast-paced, constantly changing industry. Getting inspiration from other industries and looking at some beauty and fashion brands turn traditional business models upside down and killing it in sales figures, I wonder, why are other brands so slow to react and implement the changes needed to gain forward momentum? We have put together a little list with points to implement and attributes to have, for young and old apparel brands in order to stay relevant and to thrive. Without the below attributes, a company will have a hard time attracting the younger generations, and never gain a trusting customer base in general. Without a spot on positioning, a clear target customer, a brand will never have space to grow. Old school is old school, and won’t work in the fast pace of today. The leadership needs to stay educated, curious and be willing to test and iterate to find new ways of doing business. And it goes without saying, leadership needs to bring on board the younger generation, a diverse group of people, to be relevant NOW. White middle aged men that pat each other on the backs doesn’t count. To closely watch competitor brands and go the same route because it’s safe, will never pave a path for your brand. By setting a clear unique strategy based on the brand’s values, and following it closely will keep the brand unique. Everybody has a phone today. In 2018, 1,79 billion people will have bought something online. For a brand to be digitally visible, they need to have a tech team in place, that takes care of the website, e-commerce, and all social media platforms. No, I’m not talking about the outdated IT- department! By implementing a modern tech strategy, driving traffic to the website, having a top notch e-commerce system, the brand will have recurring and an increasing number of customers. When walking around at a fair and seeing all the hundreds of apparel brands, it makes you realize how similar all the products are. If you remove the logo, you won’t be able to say what brand is what. By intentionally avoiding similarity in design language it will make your products stand out. Brands with a strong faithful customer base have these 3 in common. They have built extremely strong belonging through community inclusivity. Long-term sustainability strategies are musts for brands of the future. Environmental responsibility should be on every brand’s agenda because today’s conscious, educated customers demand it from the brands they wear. Help your customers, help you, to save the world. Strong apparel brands are not just about a good product. They are a lifestyle! Customer tap into the world, values and total lifestyle of that brand. Brands just need to get better at communicating what that lifestyle is and why customers should want to be part of it. With the ever flooding of information, people have become very aware of BS. For strong and long-term relationships with customers, brands need to be honest in everything they do, tell it as it is, in order to gain trust. A customer that knows your story and trust you as a brand, is a very happy customer. They are your loyal champions that will spread the word about your brand. Customers want to belong. They want to be part of something cool and great. They want to know what’s going on, they want to know everything about the products, the behind the scenes and the process. All you have to do is give them the information and let them participate. Tony Hsieh, CEO of Zappos says: “Customer service shouldn’t be a department, it should be the entire company.” Satisfied customers will always remember how well they were treated. They’ll want to come back for more. There is no well-functioning company with miserable employees. Happy employees take effort, affection, engagement, fairness, and positive guidance. Fulfilled employees will always go the extra mile when the times are tough because they know they are appreciated and supported. Without a great product, it will be hard to enter the market and even harder to succeed and thrive in it. A fantastic product is also the best marketing you can have. Successful brands deliver season after season, year after year, consistently. Consistency can only be achieved through a strategic well-working machinery, with systems in place and rigorous planning. Successful brands plan for success, they don’t just end up successful. Having a close eye on the numbers, efficiency and constant tweaking to reach those numbers is what makes brands thrive. With Good To Have attributes, brands get on a deeper level of trust than regular brands. People don’t always care about facts and numbers, or how many pockets a product has, or what material it’s made of, they will remember the story you tell about that product and collection. Storytelling is at the core of every human being. Tell stories that move people and you will have a much deeper connection and dedication with your customers. With traditional sales funnels, brands know what to expect and how to go about. The sales teams meet their buyers, exhibit at fairs, use the online shop etc. But what if brands would experiment a bit more in their sales strategies with selective offer drops, collaborations, and limited number products? The upsides are the obvious increase in marketing, potentially generating new customer groups, an increase in sales figures, and taps into new product areas. Do brands still need to operate on Season based models? Can certain parts of the collection be seasonless, and available all year round? Can parts of the collection have a see now – buy now model? Can brands have a one-year collection instead of the 4 seasons? There are only opportunities in testing new ways. Glossier – An online, direct to consumer, “co-created” beauty brand. Glossier’s products are clean, well designed, easy to use, for a natural look finish. They have extremely tight communication with their customers which makes them speed up the product development process and ultimately give the customers exactly what they want. Sweetgreen – An American fast-food restaurant chain that sells salads and juices. The reason we love Sweetgreen is that of their honest values and the transparency of the brand and restaurants. Kitchens are open, produce is local and organic, everything is made there, freshly prepared daily. It’s eventually a lifestyle brand with a mission to “inspire healthier communities by connecting people to real food”. They are also extremely tech-driven, with for example no cash restaurants. Everlane – An American clothing brand that specializes in modern basics, with “radical transparency”. They launched in 2010, online direct to consumer, with the revolutionizing concept of full transparency in product pricing and the company’s supply chain, that’s environmentally friendly and ethical. One last thought: A lot of what we are saying here will be obsolete in a very near future. For brands to be relevant they need to ADAPT to the ever-changing scene. As Charles Darwin said: “It is not the strongest of the species that survives, nor the most intelligent that survives. It is the one that is most adaptable to change.” Adapting is learning. The quicker you adapt the better your future will be. What matters is that you respond! How many of the above points do you tick off as a brand? If if it’s less than half, it’s time to book a meeting with your team, implement a strategy and start planning. There are some great opportunities out there for grabs! Access our extensive content library with how-to guides, articles & videos. Templates, tech packs, cheat sheets & checklists. 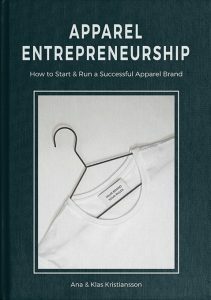 Feedback and support from fellow apparel entrepreneurs and experts who will keep you on track.